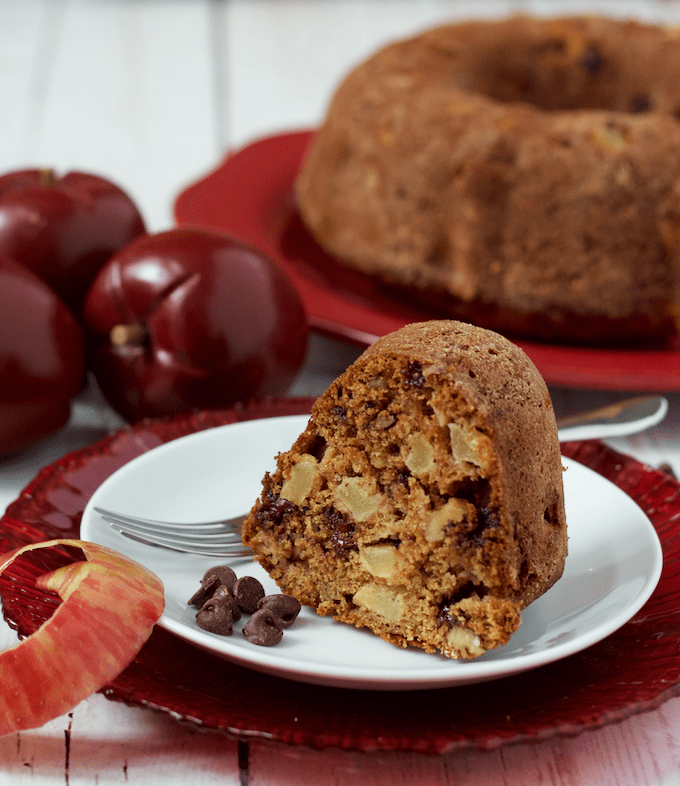 Chocolate chip apple cake is loaded with sweet apple chunks, chocolate chips and walnuts for a delicious fall dessert! Fall is more than just pumpkins. Did that just sound like blasphemy?! Not that I don’t love me ALL the pumpkin things. You know I do. But fall is also all about the apples. Fresh, crisp, perfect apples. Of the honey crisp variety now and then, if you’re lucky. I eat an apple every day. Forget the doctor, I just think they’re delicious. When I was pregnant with J, in fact, I switched to eating two apples a day. I had my daily afternoon snack apple as usual and then after dinner, all I really wanted was another apple. And you can’t say no to a pregnancy craving, so I happily gave in. But this cake. 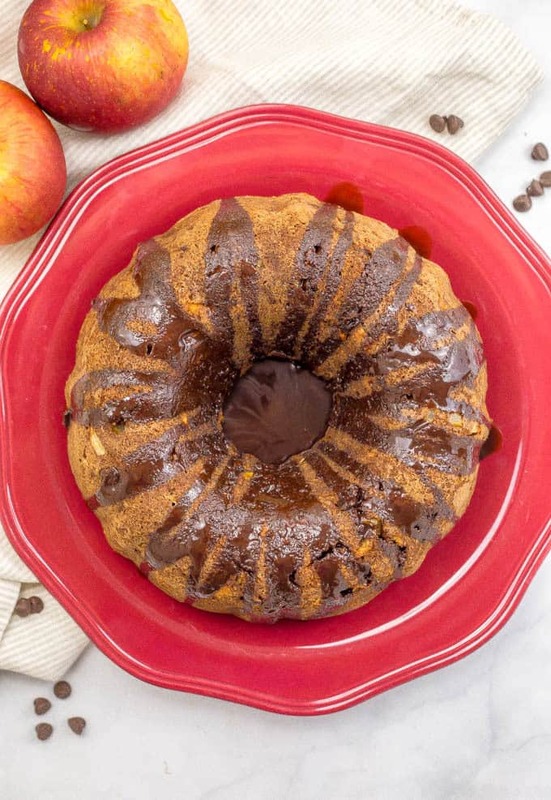 This chocolate chip apple cake can happily replace my apple habit anytime! In fact, when I make this cake, I eat IT twice a day and I don’t miss my daily apple at all. It’s got my beloved honey crisp apples plus applesauce to bring home the apple flavor. Plus walnuts (or pecans, whichever you prefer) for some crunch. Oh, and chocolate chips. Can’t forget those. I use white whole wheat flour, but you can substitute all-purpose flour if that’s what you use. I use walnuts, but you can substitute pecans. I’ve made this cake without sifting the flour and other dry ingredients. It turned out just fine. 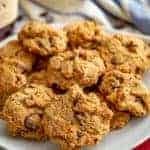 It’s a bit lighter, probably, with the sifting, but if you’re not picky, you can skip that step and just mix the dry ingredients together before adding them to the wet. I prefer to use honey crisp apples, but any sweet red baking apple will do. Drizzling the cake with chocolate sauce is optional.This cake is plenty sweet enough on its own if you want to skip it. 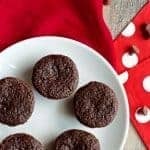 I included a link to the homemade chocolate sauce I love in the notes of the recipe card if you want to use it. Need some other apple inspiration? Check out my slow cooker apple butter, apple butternut squash muffins and easy healthy apple crisp stacks. Apple love all the way! Oh, and I redid the photos when I made the video (check it out below) but I wanted to keep this from my original photo shoot. 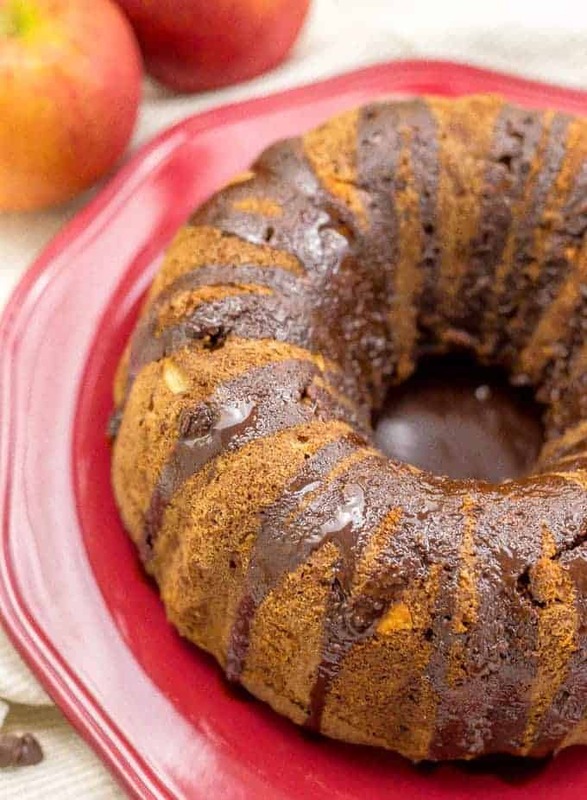 Celebrate apple season with me and bake this cake! ** What are you some of your favorite fall traditions? 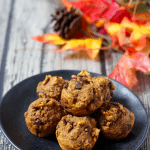 Are there any favorite fall foods you make every year? Preheat oven to 325. Butter and flour a 9- or 10-cup Bundt pan and set aside. In a large bowl using a hand mixer (or a stand mixer), beat together the eggs, sugar and butter until light and fluffy, about 1 minute. Add applesauce and vanilla and mix well. In a separate bowl, sift together the flour, baking soda, cinnamon and allspice. Stir to combine. Add dry ingredients to wet ingredients in two batches, mixing until just combined. Pour batter into greased Bundt pan, smooth the top, and bake for 1 hour to 1 hour and 10 minutes, until a toothpick inserted into the center comes out clean. Let cool for 10-15 minutes before removing from pan. Cool completely on a wire rack. I use white whole wheat flour, but you can substitute all-purpose flour. 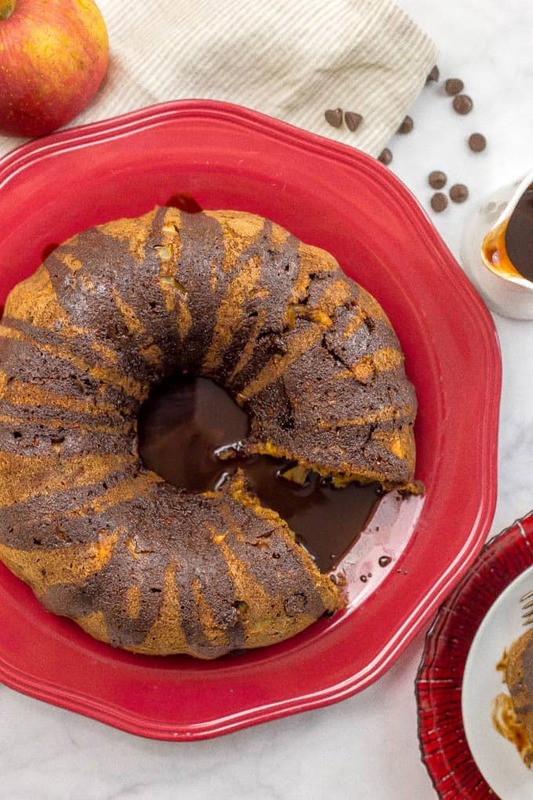 You must butter and flour your Bundt pan very, very well or the cake will stick. Smear softened butter around all the edges of your pan (including the middle), then add some flour and shake it around until everything is very well coated. This look so moist inside I Just want to grab a big slice! Love the apple chocolate combo! Yum Kathryn! 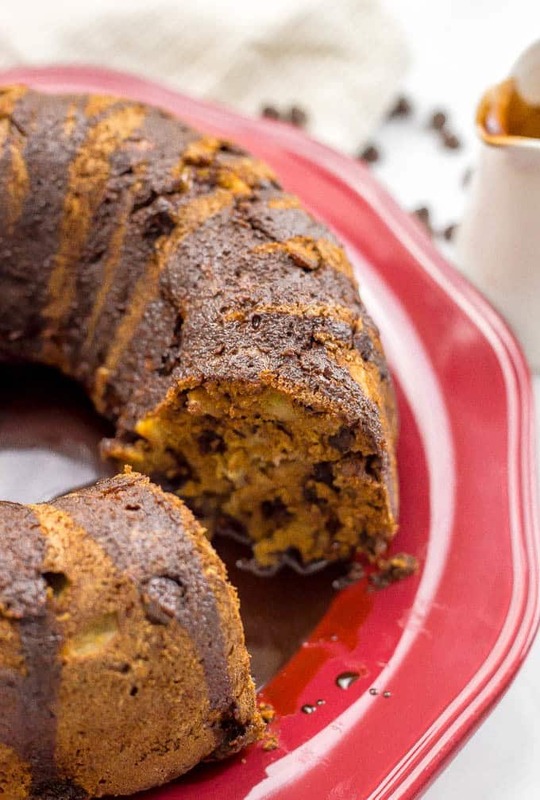 I would never have thought to put chocolate chips in with apples, but this looks so great! I need to try! Thanks for sharing with us at #ThrowbackThursday, hope to see you this week! Oh I love all the flavours in this cake and it looks full of some much texture too! YUM indeed. Thanks Kim! It’s such a good combo 🙂 And thanks for hosting such a lovely, yummy party! I love all things apple flavored this time of year. I actually just made a butternut squash and apple bread that I’ll be sharing on my blog and I can’t stop eating it! I love your step by step photos too! Yes, I’m all about the apples! Can’t get enough! 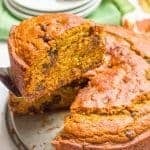 Especially when paired with chocolate… Your butternut squash apple bread sounds so delicious – can you share a piece through the screen onto my plate? Or just straight in my mouth?! I am loving this cake combo! SO perfect for fall! Thanks Des! 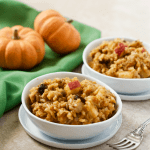 It really is a great fall dessert! 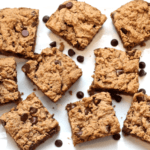 Do you think I could substitute gluten free flour in this recipe? Hi Anne! I haven’t tried it with a gluten-free flour. I think a general gluten-free blend might work, but I’m not sure what other adjustments might be needed in gluten-free baking to ensure the cake rises properly. Would love to hear if you try it!